Ryan Kitto signs with Jets! WT Birkalla’s 2015 Golden Boot & Best and fairest winner Ryan Kitto has been contracted by the club as an injury replacement player for Labinot Haliti until the completion of the Hyundai A-League 2015/16 season. Kitto, 21, trialled with Scott Miller’s men this week and impressed the Newcastle Jets coaching staff with his efforts. 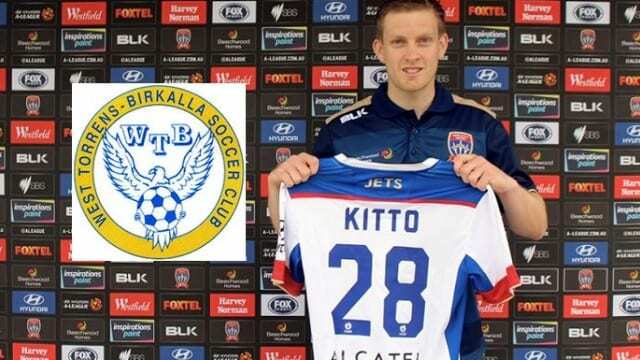 The Australian youth international was a member of the Adelaide United set-up in his home state of South Australia between 2013 and the start of this year, though Kitto was last contracted to National Premier Leagues (NPL) South Australia side West Torrens Birkalla. With West Torrens Birkalla Kitto scored an impressive 17 goals throughout the 2015 NPL South Australia season, helping the club to a third-placed finish. Kitto’s displays in the 2015 NPL South Australia saw him rewarded with the Sergio Melta Medal as the competition’s Player of the Year last month. Everyone at WT Birkalla would like to wish Ryan all the very best and we are all sure he will do us all proud.